This is a wedding cake I made. It has 2-tiers and each tier has 4 layers. It’s my gluten-free carrot cake https://mrsgooses.com/2014/06/18/gluten-free-carrot-cake-with-cream-cheese-rose-swirls/ covered in white fondant. 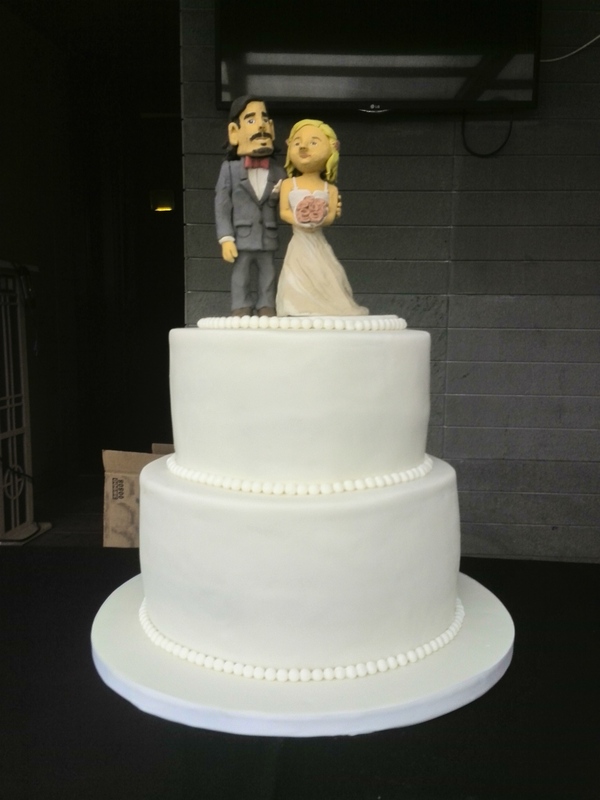 The cake toppers were supplied by the bride and groom and were made of clay.